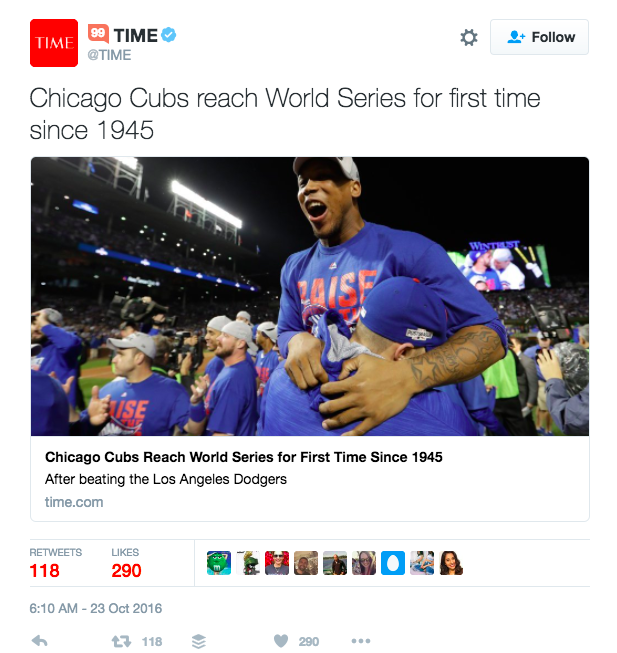 ICYMI…the Chicago Cubs are headed to the World Series, where after decades and over a century of futility they will attempt to ruin their image as beloved losers and win it all against another nearly-as-lovable (and nearly-as-incompetent) team in the Cleveland Indians. I mean, talk about serving it up in a shot glass on a silver platter for the beverage company’s social media/marketing team, right? I don’t think it gets any better if they had planted her there themselves. As my friend Jason Miller noted on Facebook shortly afterwards, Jagermeister could have potentially used this to their advantage in a HUGE way if they were prepared or paying attention. But to this point, its been crickets. Since then, individuals and brands alike have been trying to accomplish the same feat, and achieving everything from moderate success to massive failure. 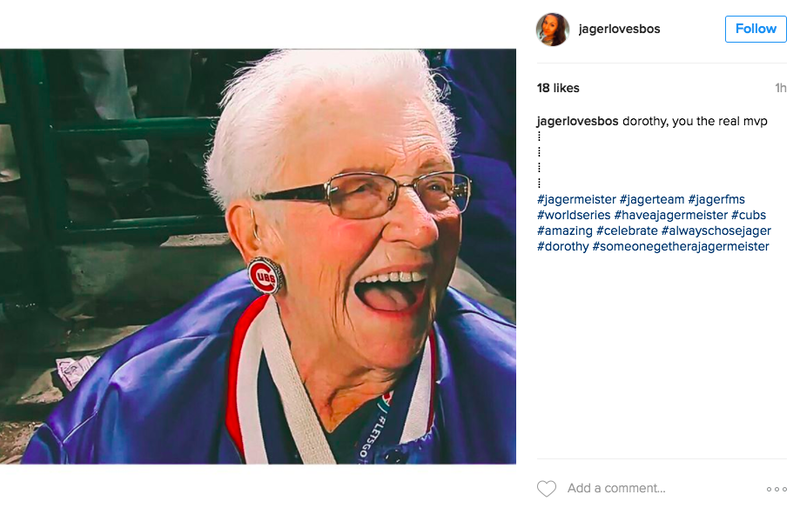 Can Jagermeister still capitalize on the buzz around Dorothy’s post game comment? Sure, and maybe they end up even doing it in a big way in the World Series by paying her way to attend all the games, or giving her a lifetime supply of their product. Maybe they didn’t want to interrupt their current Halloween campaign that’s all over their channels and website, which they obviously planned out months ago. 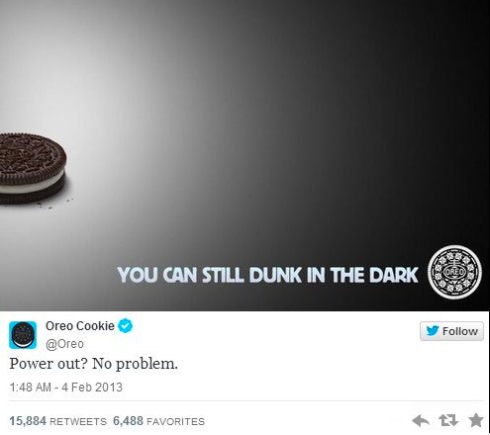 But the initial time to REALLY make waves has already passed, and it will be interesting to compare the activity of that pre-produced campaign versus the online activity and the “Dorothy Effect”. 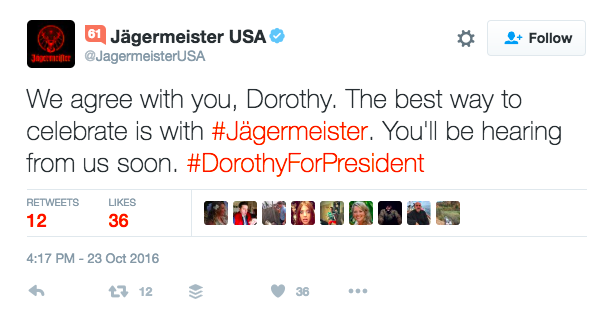 UPDATE: Jagermeister discovered Dorothy on Twitter…the next day. Still no mention on their Facebook page or Instagram however. Previous Post Pokemon GO: What’s a Lure and How Do I Use It to Attract Customers to My Small Business? Big time BUT once can assume since Jägermeister is from Germany that their brand or agency team is overseas and were likely sleeping (literally!) while the game was happening, they aren’t MLB fans or get the cultural importance here in the U.S. of the Cubs win, Dorothy doesn’t fit their target demo. Again, all assumptions on my part off the surface.